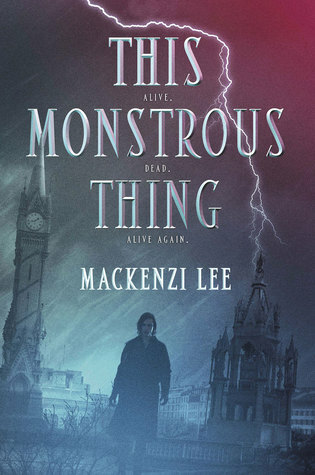 Mackenzie Lee – This monstrous thing. 2.5/5. This is a retelling of Frankenstein. Alasdair brings his brother Oliver back to life because he feels guilty. I liked how this book gives a different look on bringing someone back. It’s not solely about a crazy professor and Frankenstein didn’t turn out to be the monster we know. The steampunk feeling was nicely done. The rating is based on the fact that it’s not a memorable story and overall, it wasn’t that spectacular. Nova Ren Suma – 17 & gone. 3.5/5. Books with unreliable narrations can be so intriguing. I liked The walls around us and I was curious about this book. Lauren has visions of 17-year-old girls who disappeared and she has a feeling they want to tell her something. Lauren believes one of the girls, Abby, is still alive and she is the one to save her. I had a feeling at the beginning of the book that there was something wrong and Nova didn’t let me down. It’s a haunting story and I flew through the pages. 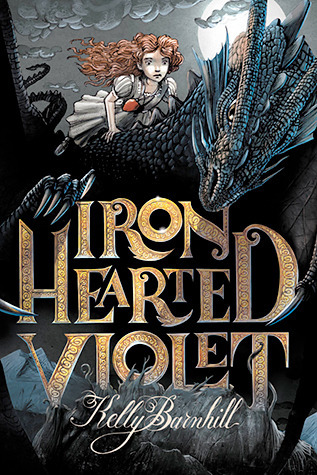 Kelly Barnhill – Iron-hearted Violet. 4/5. Gorgeous book! It is filled with artwork that really added something to the story. Violet is smart, witty and loved by her people, but she is described as downright ugly. This is starting to become a problem when she wakes the Nybbass, who fills her head with lies. He makes her believe that true princesses are beautiful and he can help her with that problem. I liked the friendship between Violet and Demetrius. I also loved the presence of the dragon and the message in this book. Gail Carson Levine – Ella Enchanted. 3/5. 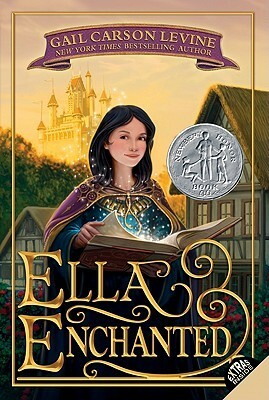 I remember reading Ella Enchanted when I was younger and I enjoyed it. I definitely should check out the movie. Thanks for sharing! I may steal your idea to do short reviews of books I finished this summer. I never know what to do when I read I book I don't particularly like. Thanks. I am right there with you on Monstrous Thing. It was good but it felt so bland and very forgettable. Great mini reviews! Mooi! Het was echt een leuk verhaal. aw that's too bad you ended up not liking This Monstrous Thing. I have not read a Frankenstein reading so hopefully this one will end up memorable to me since it'll be my first Frankenstein retelling read. Oh wow I didn't know the book Ella Enchanted was way different than the movie. I totally enjoyed the movie. Anne Hathaway did a fantastic job. Not sure whether I'll read the book though. I really want to read 17 and Gone. I loved The Walls Around Us and really want to read her other works. I am glad you enjoyed it. I really want to read Ella Enchanted as well, but I'm surprised that it isn't like the movie at all (somehow I thought it would be). I've seen the movie sooooo many times that I'm afraid I'll have problems seeing the two as separate. Ugh... I'm really doubting whether I should read the book or just rewatch the movie another time haha. 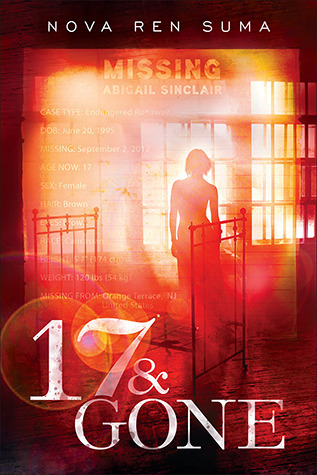 I thought 17 and Gone was so interesting! The ending was really sweet (highlighting all the other girls), but I got questions about the "magical" element. I'm glad to steampunk in This Monstrous Thing was great, I wish the story were more memorable though, so thanks for the heads up! Awww, I was so excited for This Monstrous Thing! I'm so sad it wasn't memorable :( But Iron-Hearted Violet sounds really good :D Thanks for sharing! I recently bought Ella Enchanted for that same reason lol (plus Book Outlet was having a sale :D). I guess even if I don't end up liking the book as much, it's still a pretty thin book. Maybe I'll like it more now that I don't expect it to be like the movie? Either way, I'll be interested to read the original and see what the movie was based on.